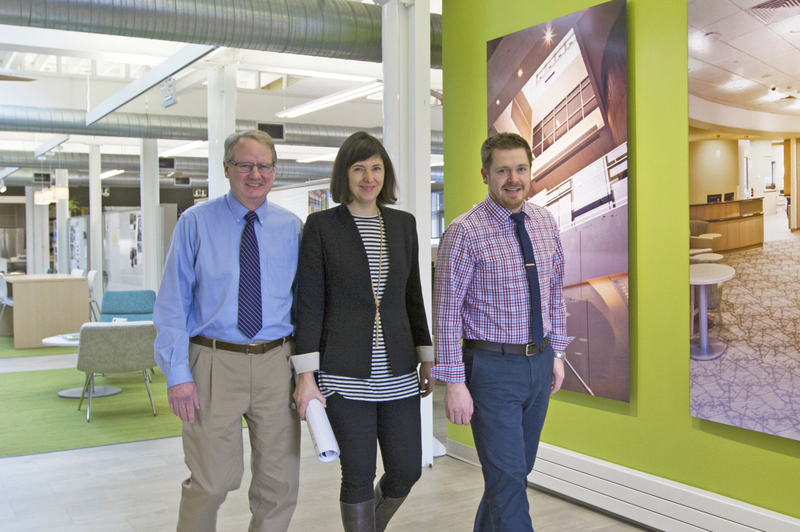 HOLT Architects, one of the region’s leading architecture firms, is pleased to announce the naming of three new Associates: Sarah Galbreath, Nathan Brown and Tom Covell. Associates at HOLT Architects are promoted for their exceptional leadership, high professional standards and innovative design approaches that will strengthen and enhance HOLT’s future. “We are excited to see our three new Associates continue to carry forth the core values of HOLT, and meld them with their own, new and creative ideas that will keep HOLT progressing for years to come” states HOLT President, Graham Gillespie. Sarah Galbreath, AIA – Since joining HOLT in 2004, Sarah has been an instrumental part of HOLT’s healthcare studio. Her focus on evidence-based design and implementation of an engaging and collaborative project process has resulted in her work receiving numerous design awards and accolades. Sarah has an academic background in pre-med sciences, has spent time volunteering in rural hospitals, and has taught design at Cornell University where she still serves as a visiting critic. Nathan Brown, AIA, LEED AP – With 14 years of experience in design and construction, Nathan is admired for his ability to balance the creative and the practical in all of his work at HOLT. As the lead architect in HOLT’s Syracuse office and an alumnus of Leadership Greater Syracuse and the Syracuse School of Architecture, Nathan is immersed in the Central New York design community and is leading several of HOLT’s Syracuse-area projects. Tom Covell, AIA, LEED GA – Tom’s 30 years of experience planning and designing healthcare facilities plays a critical part of HOLT’s continued success. Tom is an efficient and engaging project manager and focuses on working collaboratively with owners, designers, contractors and end users on every project. Tom is passionate about thoughtful, well-executed design and is active in the mentoring and coaching of HOLT’s newest architectural designers.